Still regarded by many as the most gifted player England has produced since Paul Gascoigne, hype is something Joe Cole has had to live with for a very long time. This is the man parts of England’s World Cup squad almost went to war with Fabio Capello over last summer, and someone who can look in his trophy cabinet and see at least three Premier League and two FA Cup winners medals gleaming back at him, along with more than 50 England caps. But while this time last year, Cole was seen as the saviour of England’s dismal World Cup campaign, this summer he is contemplating a backward step. A move away from one of England’s biggest clubs and into the second, or maybe even third, tier of Premier League sides. So how has it come to this and what does it say about the development of English football that a player so gifted, and not yet even 30, is now being ignored and marginalised by some of the game’s top managers? Cole has grown up as a footballer directly in the public eye perhaps a result of having the neither shy nor retiring Harry Redknapp as his first manager. Even when Cole was a young teenager, he was talked up by Redknapp, who would let it be known Sir Alex Ferguson was a big admirer and willing to offer big money or big names to take the Islington-born youngster to Old Trafford. Not that Cole needed any hyping from his manager. He was clearly a special talent from a very young age and he and Michael Carrick were the star turns in a West Ham youth side that thrashed Coventry 9-0 over two legs in the 1999 Youth Cup final. But while Carrick was built by the Hammers academy as a latter-day Trevor Brooking, all controlled passing and midfield authority, Cole was quite different. He had flicks and tricks but with a purpose. He would drop a shoulder and take players on, play incisive one-twos and create chances. He would also score goals. Cole didn’t have enough power to shoot from the edge of the box, but that would come with age. By January 1999, he was ready for his West Ham debut in an FA Cup tie against Swansea and, at the end of that month, Redknapp took great delight in showing off his prize possession during West Ham’s trip to Manchester United. Cole’s progression was rapid and he was soon a regular fixture in the West Ham side. Redknapp’s preferred tactics of attacking the opposition suited his play and he quickly became a fan favourite. But while adored in East London, to many others Cole was seen as a luxury player and one who couldn’t be trusted. This was a view reinforced in March 2002, when Cole, now an established international, gave the ball away in a dangerous area to allow Vincenzo Montella to score for Italy in a game England lost 2-1. Cole went on to play a minimal role in that summer’s World Cup. To those who watched him every week at Upton Park, the luxury label was unfair, but it stuck. I was in an England press box when a journalist kept shouting “give us another trick, Joe” as Cole and the rest of the side struggled. His final season at West Ham should have proved the doubters wrong once and for all. Despite big names around him, such as Paolo Di Canio, Fredi Kanoute and David James, Cole was named captain and worked tirelessly to try to keep the struggling Hammers up. Free from the shackles of a relegation dogfight, and surrounded by quality players, Cole was the right age and in the right environment to flourish. His Stamford Bridge career began under Claudio Ranieri, who appeared a good fit for Cole’s natural talent. But lack of silverware led to the Italian’s removal and, while the incoming José Mourinho proved good for Chelsea, he proved a disaster for Cole and England. Mourinho is a control freak. Granted, a hugely successful one, but a control freak none the less. Despite sitting on the touchline, he likes to be in control on the pitch and that means having players who follow his instructions to the letter. He appears to distrust players who think for themselves and are unpredictable. At Real Madrid, Cristiano Ronaldo is perhaps the first Mourinho player granted a free rein. But, rewarded with more than 50 goals last season, the coach can afford to make an exception. Cole, by contrast, was denied a free pass. While Mourinho will point to the success Cole enjoyed under him at Stamford Bridge, he stripped the flair from the player and built him into a bog-standard wide midfielder. For an easy comparison, look at pictures of the wiry, fleet-footed Cole who broke into the West Ham team with the bulked-up sturdy version who eventually left Chelsea in 2010. Of course, over the years Cole was bound to grow but, under Mourinho, his physicality changed and it affected his game. Mourinho’s desire to play 4-3-3 also meant Cole was marginalised on the left-wing. While the likes of Frank Lampard, Claude Makélelé and Michael Essien would patrol the centre, Cole was directed to attack and defend along a narrow strip of the pitch, making sure he was always on hand to aid Ashley Cole should the opposition attack. Defend first, then think about attacking a methodology completely at odds with how Cole should have been used. While Cole was picking up trophies with the Blues, the fact he was having his natural flair coached out of him failed to register with the media and fans. Where it was clearly noticeable was with England, where supporters could not rely on Roman Abramovich’s millions to buy star players for them. By rights, Cole should have been a sensation in an England shirt. His ability to open up tight defences would have been a huge asset at international level, but he was never entrusted entirely with the responsibility in a similar vein to creative gems Glenn Hoddle and Matthew Le Tissier before him. Virtually unused at the 2002 World Cup and Euro 2004, Cole, along with the rest of England’s “Golden Generation”, was due to come of age in Germany in 2006. Sadly, it wasnt to be. With a stunning volley against Sweden, he was arguably England’s best player in the group stages. But as the tournament progressed, Cole’s influence diminished and his World Cup came to a disappointing end when he was substituted minutes after Wayne Rooney was sent off in the quarter-final against Portugal. Four years later in South Africa, Cole was once again a peripheral figure in coach Capello’s plans. After opening draws against the United States and Algeria, there was a national outcry for him to be included in the vital game against Slovenia. Chelsea team-mate John Terry went so far as to call for his inclusion in a press conference, a move that clearly challenged Capello’s authority. 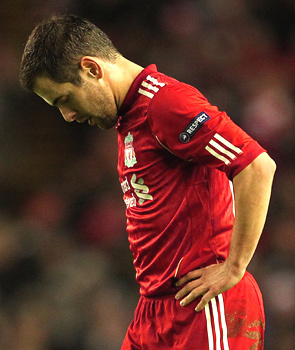 But sadly, by then, the Joe Cole who fans, the media and team-mates were demanding had long gone. The tricky midfield dynamo with a dozen tricks up his sleeve, the player who would move spectators slightly closer to the edge of their seats when he received the ball, was no longer there. By 2010, Cole was just another in a long line of so-so left-sided midfielders who would do a job, but would not be expected to change the game. Capello clearly understood what Cole had become and refused to bend to the will of media, keeping Cole on the bench until 20 minutes from time. He performed a similar role in the second-round defeat to Germany, to date Cole’s last England appearance. Cole’s brief performances in South Africa came as an unattached player after Chelsea had refused to meet new contract demands and let his existing deal expire. By the end of his time at Stamford Bridge, Cole was far from a regular. Injuries hampered his attempts to impress Carlo Ancelotti but, even when fit, the Italian chose to put his trust in the likes of Florent Malouda. Despite brief interest from Redknapp, now at Tottenham, and rumours of a homecoming to West Ham, Cole decided his future lay with Liverpool. The signing was portrayed as a great coup for new boss Roy Hodgson and with the likes of Reds captain Gerrard comparing him favourably to Lionel Messi, Cole was clearly rated by his team-mates. But his first, and possibly only, season at Anfield proved a disaster. Sent off in his first game and then struck down by injury, by the time Cole was ready to resume, Liverpool were a club in crisis. He rarely featured under new boss Kenny Dalglish and, with the rebuilding signs up around the Liverpool squad this summer, it looks as though Cole could be sacrificed. He only turns 30 this November, but it seems Cole’s career has peaked and it’s only downhill from here. He has been linked with yet another reunion with Redknapp, but if that doesn’t come off, then Fulham or Queens Park Rangers are also mooted as possible destinations. No offence to the two West London clubs but, by this stage of his career, Cole should be a regular feature in a title-winning side built around him. Well, Mourinho must shoulder some blame for changing Cole as a player. During seven years at Chelsea, he went from midfield maverick to steady left-winger – a description which clearly doesn’t shout progress. But Cole must also take some blame. Maybe he was never as good as we all thought. Maybe the excitement that caused the Upton Park PA announcer to talk so highly about him all those years ago was just hype. Cole was clearly a class apart against players his own age but. when it came to the Premier League, maybe he didn’t have the tools to stand out on a consistent basis. Perhaps the failure to marry the tactical discipline required by Mourinho with Cole’s natural creativity is more the fault of player than manager. Or maybe it’s something different. Maybe there is just no room for the flair player in English football today. Manchester United won the title last season with a functional side, while despite Roman Abramovich’s desire to see Chelsea play exciting, attacking football, they are still most comfortable in the tactical straightjacket imposed in Mourinho’s day. Even Arsenal, the standard bearers for the type of passing football Cole would revel in, do not have a standout player. Cesc Fabregas and Jack Wilshere are clearly the best of the bunch, but are they exciting to watch? Is there a hush in the crowd or a rumbling of excitement when they get the ball? Perhaps the only modern player comparable to what Cole could have been is Messi. Nurtured by Barcelona, and able to marry attacking verve with tactical responsibility, he has made his small size a virtue and is rightly seen as the best player in the world. Could the young Joe Cole have developed into an English version of the great Argentinian? Possibly, possibly not. Sadly, we will never find out. Joe so needed to stay in central midfield. Players beware of chasing those moves to so called BIG clubs. Chelsea ruined him, they ruined Wright-Phillips. Insightful read. Wright Philips wasn’t ruined by Chelsea. neither was Cole. Cole was exceptional for the Blues until he got injured and was never the same player again. He lost a lot of pace. Wright Philips had an enormous inferiority complex from day one at the Bridge and never fulfilled any potential and led many Chelsea fans to believe he was a poor player. There was never a great talent to be ruined when it came to sean. Good read. Agree he had the flair coached out of him, can happen to players, moreso nowadays. Never had a Messi level of talent. Think he would do much better if he was breaking through now. 4-2-3-1 would suit him much better than having to play wide or as a midfield 2. Biggest factor for me is loss of pace. Injuries? Weight gain? Has led to loss of confidence. Smaller club like QPR would suit. Never ever in Messi’s class. Lional Messi? Lionel Blair more like. Lay off the angel dust. West Ham academy produced Rio, Carrick and Fat Frank all better footballers than Mr Hype, Joe Cole. Never rated him, Just an example of West Ham fans and the press inventing a superstar. Rodwell at Everton the same, watch him disappear. Playground footballer Joe Cole. John Terry’s waffle about England needing him in SA to compete made me soil my spiderman y-fronts last year. Good article but I disagree that it’s just down to Mourinho and Cole. I think Cole natural talent was poorly developed throughout his youth by sub-par quality coaches who stood back and wondered at his close controls and flicks and never developed other aspects of his game. I always though Cole was below average distributing the ball whether a good range of passing or being able to strike a decent shot. Had he improved one of those areas he would have made a much more effective footballer. Pretty good article it does miss the point though that perhaps a player doesn’t have the desire to keep improving in their latter years after winning trophies. Shame to see his decline tho as a type of player England lacks. Messi is given a free reign as well he doesn’t track back at all which is why he succeeds so much, very heavily gifted of course but no player in teh Prem is given that luxury. Messi doesn’t track back? – you obviously don’t watch much of Barcelona, the entire philosophy of the team is to press hard and reduce space when the other team has the ball. I also remember Messi once chasing Kun Aguerro halfway down the pitch before putting in a superb tackle. absolutely Oz, I was actually at that game, needless to say it prompted the usual “Messi! Messi! Messi!” chanting. messi doesn’t track back..? name a single player in the barcelona team who doesn’t. as for poor joe cole.. there really is no room in the english game for flair players, regardless of how good he was or wasn’t. part of the reason why egland will never ever win another world cup. You can’t turn coal into a diamond. Was a very exciting talent but if he really wanted to take that next step in his career he did have the platform with Chelsea and England to do so. Good players stand out regardless of role or position. Also Wright-Phillips flattered to deceive – never a big fan. He should have gone abroad, players like him are valued more in Spain/Italy. I remember in the late 90s there was talk about Man Utd signing him, his progressin would have been very different under Fergie. What a load of crock. It’s an insult to compare Joe Cole to Lionel Messi. Messi has scored nearly as many goals (53) last season as Joe has managed in his entire career (55). Only by using absurd amounts of nepotism could they ever be mentioned in the same sentence. Thanks for all your comments, certainly some interesting views. @Jonno. Bit harsh on West Ham youth coaches. He was a once in a generation player and surely you should let natural talent flourish. Agree though that his distribution and decision making didn’t improve as it should’ve done. @Stephen. Think he would have had a better chance to develop abroad, but Chelsea offered the big money. Would have been interesting to see what would have happened if Ranieri had stayed. And it wasn’t me comparing him to Messi, it was Gerrard! If Joe was making his way in the game now, he would be much more valued, as small technical players are in vouge now. When he was or should have been nearing his peak, big powerful midfielders were all the rage, hence why small, skilful players were pushed out wide, as it was thought they couldn’t compete in the heat of the battle. Thankfully, that mindset is changing thanks to Xavi, Iniesta, Snjeider etc. Sadly Joe’s time has gone and he won’t be around to benefit. I wrote this last year during the World Cup. I’ve long been a of the mind that Joe Cole has always been over rated. you may have a point that others can take a share of the blame for his decline, but really he never was anything than a half decent Premier League footballer. A player that managers, players, media, fans and even himself don’t not know what his position is. Unfortunately for Joe Cole his intelligence lets him down. He simply doesn’t have the capacity to be a great player. Messi or someone like Zidane or even Beckham are ‘intelligent’ players because more often or not they make the right decisions and are always in the right place at the right time. To use an analogy, Cole looks like the sort of people who were great at park football but then ineffective in proper matches, i.e. better players find them out. In my opinion the ‘Joe Cole overhyped’ theory is the most accurate, having skill isn’t enough if you don’t know how to use it effectively. If you look back at Cole’s career he hasn’t been anything other than average for every team he’s played for, there’s your answer right there. Piece could have been shorter. Whole gist is that Cole never fulfilled his potential for various reasons. The bit about Mourinho is interesting. While I feel the control freak is not the reason Cole didn’t improve but more the fact that Mourinho is not really a manager who helps players develop. He has the ability to get players to play to their best but they don’t really improve so much under him. Playing Cole on the left may have had some effect but Messi played on the right and in the center and has to do defensive work also, tracking back, closing down, pressing. Rafael Benitez is also a supposed control freak but he was able to improve players. Torres, Gerrard, Alonso, Carragher. So I don’t think it’s the control freak that Mourinho was that limited Cole but more his lack of ability to help players develop and improve. Drogba is a great example – played really well under Mourinho but under Ancelotti he improved as a striker, a more complete all round striker, not just a battering ram. Managers like Ancelotto, Benitez, Hiddink, Van Gaal, Ferguson, etc… – know how to develop players, help them become better, grow and improve. Mourinho I just don’t think has that and that is what I feel cause Cole to stagnate. Perhaps he was never as good as the southern dominated media trumped him to be? Perhaps he was found out at clubs who demand silverware? Perhaps he was ruined by one of the most succesful managers in the modern game? I agree maybe that is a bit harsh on West Ham coaches considering the affect they had bringing other players through at the time but I can’t believe a German, Italian or Spanish player would have been allowed to develop with that much natural close control ability without developing other areas properly like kicking the ball. Even now when Cole shoots with the ball on the turf it looks like a mishit everytime. Injuries happen. To blame Mourinho for Cole is like blaming SAF for Hargreaves or Newcastle for Owen. Some players recover, some don’t. Mou didn’t turn him into this muscular person, he did that to himself (by his own admission), to be stronger and avoid injury. Keep blaming Mourinho for everything, but I must’ve missed how he turned Ozil into a Milner-type player. Or maybe he just needs more time to finish the job. You could argue that a combination of Jose Mourinho and injuries did the same to Damien Duff to such an extent that a poor Newcastle team decided that his best position after leaving Chelsea was not tormenting opposition full backs but playing as one himself. I think Cole is a different player to Messi. Maybe spending his early twenties in a different league/club he could have turned into a player similar in role and ability to Zidane. Ah, the Joe Cole myth. The problem with Joe Cole- and this blog article substantiates that by making references to him being the most naturally gifted englishman since Gascoigne, once in a generation talent and all that guff- is that he was NEVER as good as certain people made him out to be. Even at West Ham and the early days at Chelsea he didn’t score enough goals, he needed to improve his vision and be less selfish, and he never had lightning quick pace which even flair players like Messi and C.Ronaldo have. In fact, he’s like a slowed-down version of Messi with poorer finishing ability. Just because you can do tricks and skills, it doesn’t immediately make you another Gascoigne or even a Zidane- you have to have the intelligence to apply those skills properly within a team and have physical attributes to back them up. That’s not ‘coaching the flair’ out of a player- Barcelona’s individuals know when to give and go, when to pass, where to play the right balls. Great piece. The English concept of a luxury player is self-defeating. With a fraction of his talent, Cole would have been considered a solid player, a hard worker, and admired and trusted for that. I don’t know why so many English don’t appreciate their great offensive players. Le Tissier taking penalties for England would not have been a luxury. It could have won them a tournament. It’s a combination of things, mainly Cole was overrated but also why did he move to Chelsea and then keep renewing his contract there? If he is as intelligent as his style of football suggests he would have taken the chance and moved to Spain or Italy long ago. Now it’s too late which is a shame because he would have done well over there. He considered himself a more important player than he’d managed to prove so far. He probably thought he would move to Chelsea and Ozil-style become a playmaker there. It didn’t happen but his fault is he stayed on waiting for it to happen. Joe Cole’s biggest problem has been the same throughout his career: he lacks a football brain (like most English footballers). He was always vastly talented but without a clue about how to use that talent. Now with him being a physical wreck too, he’s pretty much done. The only thing that would have made his signing for Liverpool more disastrous would have been if they’d had to pay a fee. That said, £90k a week is nothing to be sniffed at. This sums it up best. Simple truth is that if he wasn’t English (and maybe also because he was London-based), we’d see him as he is – a decent attacking midfield player – certainly no genius. The English Trochowski: Too slow to be a winger, not enough passing range and creativity to be a creative/attacking midfielder. He has no role in modern game at a top level club. Maybe good enough for the Championship now, but not more. A waste of a career, maybe with different transfers he could be a better player now. Afraid not. I think Cole is one of many modern players more comparable to Damien Duff. Flair players with uncommon grace on the field who get injuries / are coached to cope with the physical Prem and fade away. Duff has come back a bit in his twilight years. Now it’s up to Cole to do so himself. Mourinho was the best thing that has happened to Cole. If someone is able to teach tactical discipline and defensive positioning, that’s Jose. Let’s face it, the ”lazy” player is dead in the modern game. There’s no room in the very top clubs for eccentric and flairy players, whom aren’t tactically nor mentally up to the task. One doesn’t have to go any futher than Dimitar Berbatov. The guy is BPL’s top scorer and doesn’t even make the bench in the UCL final. SAF rather had Michael Owen there. Says it all really. To claim that having a coach like Mourinho, somehow had a bad influence on Joe’s game in itself, is just lazy journalism in order to prove one’s point about his natural ability. As you hihglighted yourself, Ronaldo is a perfect example of how benefitial a modern take can be on one’s game. Ronaldo doesn’t have a ”free reign” in RM by any means. Granted, he has the freedom to create and take players on (like so many other players under Mourinho in his managerial career), but he is just as disciplined in terms of defending and tactics as the rest of the squad. He works tirelessly for the team, up and down the pitch. And yet he managed to score those 50+ goals. Apart from the injury problems, there’s no obvious reason for Cole’s decline, as you reflect yourself. It’s quite simple really- he just isn’t/wasn’t quite up for it. He is a prime example of a world class media hype player, as so many others in England. It’s not too long a go, as many meadia pundits suggested that Bale is if not the very best, one of the best players in the world. That’s just how absurd the british media is. There is definitely room for exciting players in the modern game, but they rarely come with tactical discipline and work rate to match it, which is required to be labelled as world class nowadays (a term thrown around too easily, btw). Especially in english football it’s a rarety like no other, and it’s no coincidence that on national level England’s team produces failures after another. Just look at the German, Spain or Holland team. They’ve embraced the challenge of todays football, in players like Özil, Iniesta, Sneijder… you name it. Flair, tactical awereness and creativity in same package. Wilshere is pretty much the only young english player whom can reach that kind of level. like some of the posters above, i think this article relies more on stereotypes than reality. mourinho turned joe cole from a luxury player to a key player in a championship winning team, it was when mourinho left that cole started to decline, going back to giving the ball away and running down blind alleys. then came an injury which he has never recovered from. the main reason he left chelsea was because he would run out of steam after minutes. you’d always see him hands-on-hips, breathing deeply with his tongue sticking out. so yeah, great natural talent but not a very intelligent footballer. got a bad injury. To blame Mourinho is the cheap/easy/lazy/en-vouge way out. Cole had the chance to become a feared attacker in the vein of Duff & Robben (at their Chelsea peaks) or Cristiano Ronaldo & Ozil…all coached by Mourinho; none of them stifled. Unfortunately for him & his country, all he managed was a blip on the radar (’06). You’re kidding right? It says nothing about English football. It says loads about Joe Cole. Nobody forced Joe Cole to stay at Chelsea all those years. I’m sure the Friday paycheck made up for “Mourinho’s ways”. He sold his soul. Hello all, thanks for taking the time to read the article and being bothered to leave your comments – much appreciated. Just a couple of things to note. As a West Ham season ticket holder during the years Cole was at the club I accept that I am slightly biased. However, with my journalist’s hat on I would still contend that he was the most exciting young footballer I’ve seen. Which makes it more annoying that he never progressed like he should have done. As for Mourinho, it would be pretty silly of me to criticise him after what he has achieved in his career. My point was that he wants his players to carry out specific tasks on the pitch and sought to change Cole’s playing style to fit in with his. Clearly worked for them both in terms of titles but in my view changed Cole as a player. Worth remembering that Cole was bought while Ranieri was manager at Chelsea and not Mourinho. Would have been interesting to see what would have happened had Ranieri stayed. Thanks again all, and please take some time to read some of the other excellent articles on the site. Or you could take some time to read this, a slightly pre-emptive piece on Cole’s decline from just prior to last year’s World Cup. Classic example of a player that is loved by fans and journalists, but whom those with actual knowledge (i.e. working, top-level coaches/managers) have little time for. In a sense, he is the opposite of, say, Michael Carrick. Your average numpty thinks Carrick is useless, but those with a respected and respectable opinions on the game (Xavi, Ferguson, Jol etc) say Carrick is class. Cole is the exact opposite. Every manager that has worked with him recently (Mourinho, Hiddink, Ancelloti, Hodgson, Dalglish and Capello) sees him as nothing more than a bit-part player; meanwhile, the usual suspects praise him as the new Cruyff. To suggest that his absence is the reason for England’s WC failure is beyond ridiculous. If Joe Cole is not as good “as we all thought”, how exactly does that make him to “blame”? As a West Ham fan, I remember him playing against Metz in the Inter Toto, he dribbled through on goal three times and never scored one. That was a bad omen, but when Rory Delap broke his leg he was never the same again. Looking back on this article now it appears many people are getting the answer to their question of ‘what would have happened if he moved abroad?’. I confess to not watching any Ligue 1 but from what I’ve read Cole’s move to Lille has given him a lifeline and potentially the freedom to play which he arguably hasn’t had since his days at West Ham. Copyright © 2011 The Sport Collective. All rights reserved.